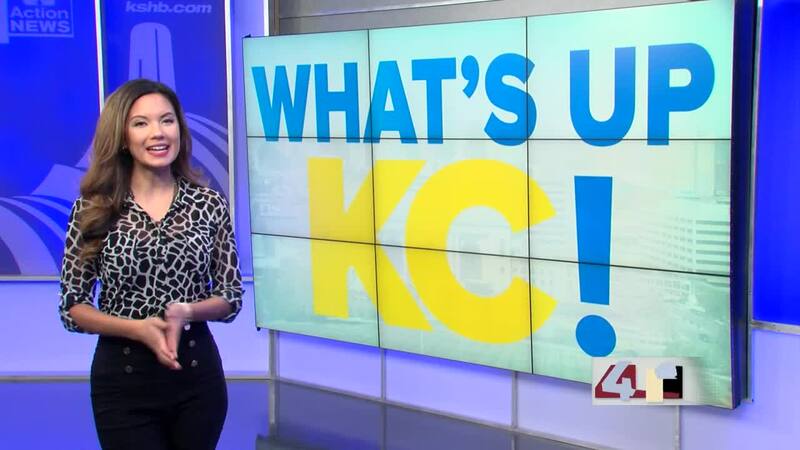 What's Up in KC for the Weekend of Feb. 8! KANSAS CITY, Mo. — Hey Kansas City! It's time to get your weekend plans together! First up, make sure you check out 38 the Spot's Facebook page for our latest Freebie Friday. This week we're giving a way a family four-pack of tickets to see PAW Patrol Live: The Great Pirate Adventure! If you win you could be seeing it on February 16th or 17th at the Music Hall Kansas City. Plus, let us pick up the tab for dinner! The winner will also received five large pizzas from Casey's General Store! Just enter using the link and don't forget to follow 38's page so you get the Facebook Live notification when we announce the winner on Friday! Good luck! Then on Friday night, ladies grab your girls and head to Girlfriend's Gala in Lawrence! Abe and Jake's Landing will host this one-of-a kind evening featuring great food, dancing, a spectacular experience auction, basket raffle, and much more. Plus you'll be supporting the American Cancer Society. Buy your tickets online and enjoy the party when it kicks off at 7 Friday night! On Saturday, head to Union Station for KC Brew Fest ! This event brings together dozens of craft and international breweries, as well as KC's best local breweries. Enjoy over 40 breweries, 100 beers, music, and food-- plus your beer is covered with the price of admission! If you're 21 and over, check it out starting at one pm on Saturday. And on Sunday you may want to check out the Museum of Good Vibes ! It's a unique pop-up experience designed to be both immersive and shareable. Visitors will throw confetti, swim through a ball pit, get lost in a streamer forest, and encounter some secret exhibits along the way. The fun kicks off at noon at Westport Event Space on Sunday. For more information on any of these events, be sure to check out 38 the spot's Facebook page and website! If our weekly picks don't strike your fancy, here's our interactive map of some other hotspots around the city. Click on the pin icon for each of the locations to learn about what type of events to expect, links for info, tickets and more -- Check it out! Tweet with the hashtag #EnjoyKC to share what you're doing around town! For more of the buzz around the city, here are links to other local fun-trackers and event calendars so you can get the most out of your city. Are we missing something? Would you like to suggest an event to be featured here?